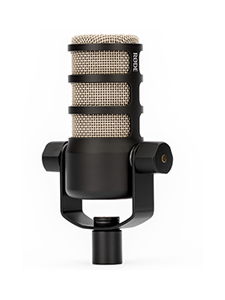 RØDE Microphones - RØDE University Lands on iPhone, iPad and iPod Touch! 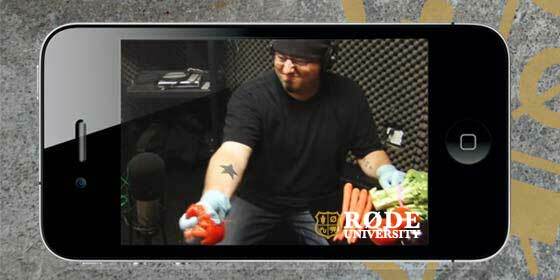 RØDE Microphones is extremely excited to announce the release of its RØDE University audio education course for the Apple iPhone, iPod Touch and iPad. 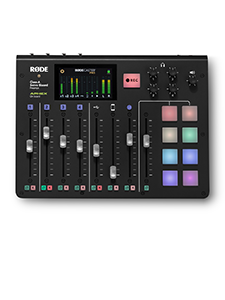 This free app includes all the video content from both the musical and broadcast syllabus from RØDE’s award winning website, rodeuniversity.com. 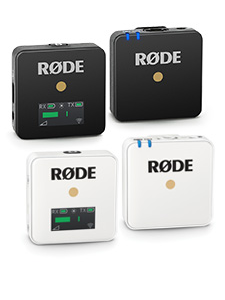 First launched in 2008, RØDE University guides viewers through the basics of recording audio via short, entertaining videos, followed by multiple choice questions to reinforce the key points of the lesson. The instrument recording course covers various ways to record a typical band including vocals, drums, guitars and bass. Across the 28 video segments users will learn key audio fundamentals, as well as discover a range of ways to mic instruments and vocals, with the pros and cons of each technique explained and discussed. Filmed in the world renowned Studio 301 and featuring rock band “Hell City Glamours” this course will definitely rock your pocket! Veteran sound designer and best-selling author Ric Viers takes the helm in the broadcast recording course, guiding viewers through a wide range of topics including location recording, ENG, voice-over and ADR, podcasting, DLSR on-camera miking, foley and sound effect recording. After installing the app, users can browse the available courses and individual videos and download those that they are interested in to their Apple device. A one-touch trash function makes it easy to manage the videos stored on your iPhone and iPad. Users also have the opportunity to share segments that they fi nd particularly insightful or entertaining via Facebook, Twitter or email.